The Food Connection Challenge (FCC), a business incubation initiative focusing on solving post-harvest losses, has selected SMEs from Benin and Nigeria to participate. In all, the Food Connection Challenge received 88 applications from Benin and 228 from Nigeria, with an independent jury selecting those SMEs they considered the most promising and the best fit for the programme. In Nigeria, fourteen farms, including Kasa Integrated Farms, Ndulue Farms and Fisheries, Obot Umoh, Ojoro Kitchen, Peachwater Consulting, Smiley’z Mobile Kitchen and Soupah Kitchen have been selected. The group engages in activities ranging from developing mobile solar powered storage boxes to the processing of spices. The group of Beninese participants consists of Africa Compost, Afririce Agrobusiness, Agro Express, Agro Dynamique, Ahimel, Assiba Fee, Huilerie Royale Ted Bénin, HVC, Jardins de l’espoir and Pack Passion. Some Beninese applicants focus on the improved processing of products, others work on the cassava cold chain or develop organic insecticides. The juries of the FCC Benin and Nigeria consisted of representatives of African Business Angel Network (ABAN), African Innovation Foundation, PUM, KIT, AidTrade, NABC, the Dutch embassies in both countries, and other experts in the field of agribusiness and innovation in Africa. The Food Connection Challenge takes place throughout 2018. 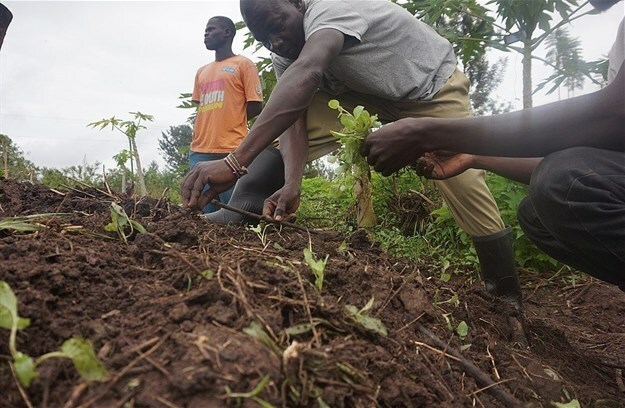 The next activity will be three days of business training in July, while the winner will receive up to EUR20,000 ($23,000) in matching seed funding to implement their post-harvest solution.